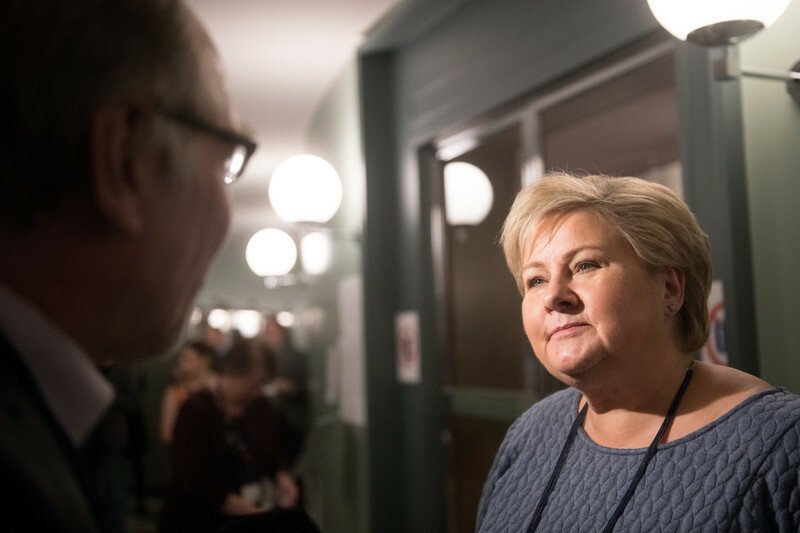 When Norway's conservative prime minister, Erna Solberg, meets her UK counterpart, Theresa May in London on Wednesday (6 June), they may find that they have a lot in common. They are both conservative female leaders of countries that seek close relations to the EU without being members. UK is Norway's biggest trading partner because of g as exports and both countries are Nato members with close relations to the United States. The most pressing question for May these day is how to keep the relations to the EU going, when not being a member of the club anymore. Perhaps Erna Solberg holds the answer? Norway seems to have found a middle way to being a good EU neighbour and trading partner with its membership of the European Economic Area (EEA). The deal gives Norway access to the EU's internal market, in return for implementing all related EU rules, but without having a say about these. This is often referred to as the "Norway model". Could Britain accept the same terms? Norway was never a member of the EU, after its people twice rejected EU membership in referendums. The question of keeping sovereignty or melting into a united Europe has marred both countries, split families and divided Norway as well a s the UK between urban EU-positive majorities and more rural EU-critical regions. If you asked the UK's opposition leader, Jeremy Corbin, the Norwegian model is not an option, however. On Tuesday he told an audience of trade union leaders that Britain could get better trading arrangements with the EU than Norway. His Labour party tabled amendments to the Government's Brexit legislation also on Tuesday calling on ministers to negotiate "a new single market deal that would protect jobs and the economy". "Labour will only accept a Brexit deal that delivers the benefits of the Single Market and protects jobs and living standards," it said. "Existing single market agreements that the EU has negotiated with third countries, including Norway, are bespoke deals negotiated with the EU to serve the best interests of those countries. We need to learn from them and negotiate our own more ambitious agreement, which s erves our economic interests and which prevents a hard border in Northern Ireland," it also said. The Labour party seeks full access to the EU's single market, common minimum standards, rights and protections, shared UK-EU institutions and regulations and refuses new impediments to trade. Meanwhile, the Norwegian prime minister, Solberg, is not recommending the EEA as a model for Britain with much enthusiasm. Her conservative party advocates full membership of the EU, but also respects the country's referendum results. "The EU decides directives in the internal market, we adapt to them. We work before they are decided, to try to influence how they are made and to take into account our differences. But it's still a decision-making in Brussels that you would have to accept," she said at a press conference in Brussels on Tuesday. A decision on using the Norway model for Brexit will come to a vote in the UK parl iament next week (12 June), when British MPs will vote on an amendment to the government's flagship EU (Withdrawal) Bill that recommends Britain to stay in the European Economic Area after Brexit.